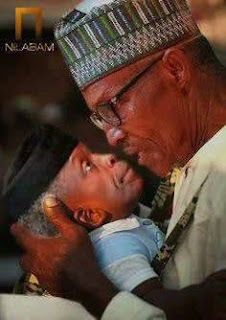 Nigeria’s 60-year old Acting President, Yemi Osinbajo, shocked the world on Thursday evening, when he announced that President Muhammadu Buhari, who is 74 years old, takes him as a brother, and treats him as a son. Osinbajo, made the statement when he spoke at the Palace of the Emir of Katsina, Abdulmumin Usman, during his recent visit to Kano State. This statement came at a time when Buhari in his letter to the Senate, before embarking on a follow-up medical consultation to the United Kingdom, UK, had designated Osinbajo as the “National Coordinator”, rather than the constitutional requirement of “Acting President”. “I am highly disappointed, Fulani’s and Yoruba’s are not brothers. Osinbajo don fall my hand”, a source confided in Post-Nigeria. Recall, that the Acting President was in Katsina, Buhari’s home State, to inaugurate the Micro, Small and Medium Enterprises, MSME, clinic. The Senior Special Assistant to the Acting President on Media and Publicity, Laolu Akande, quoted Osinbajo as saying that he felt very much at home, in Katsina. Osinbajo’s Spokesman, in messages posted on his Twitter handle @akandeoj, quoted the Acting President saying: “I feel very much at home in Katsina, more so because this is the State of the President, who has taken me as a brother. According to the Acting President, Buhari believes in the unity of the country. He said the amount of responsibilities Buhari had given to him, showed that he (Buhari) ‘seriously’ believes that they could both work together as brothers. Osinbajo prayed that the Lord preserves Buhari, so that he could continue to lead the country, as Nigerians had voted him to do. The Emir earlier urged the Federal Government, to extend the Kaduna-Kano rail line to Katsina, in order to boost economic and industrial activities. “At present, the railway line terminates in Kano, but I am calling on the Federal Government to extend it to Katsina. Extension of the rail line will assist in boosting socio-economic activities in Katsina State”, he said. In his response, Osinbajo assured that the rail request will be looked into. At the launching of the MSME Clinic, the State Governor, Aminu Masari, called for the completion of the 10 megawatts windmill power project, which was abandoned almost completed, to address power challenges and boost Small and Medium Enterprises across the State.